Like the LG G6 yeah? Heard about the new version? Well, it’s just been announced.There’s 128GB in this version and it comes with premium B&O PLAY headphones for the on-board 32-bit Hi-Fi Quad DAC. They’ve also chucked in wireless charging in some countries. 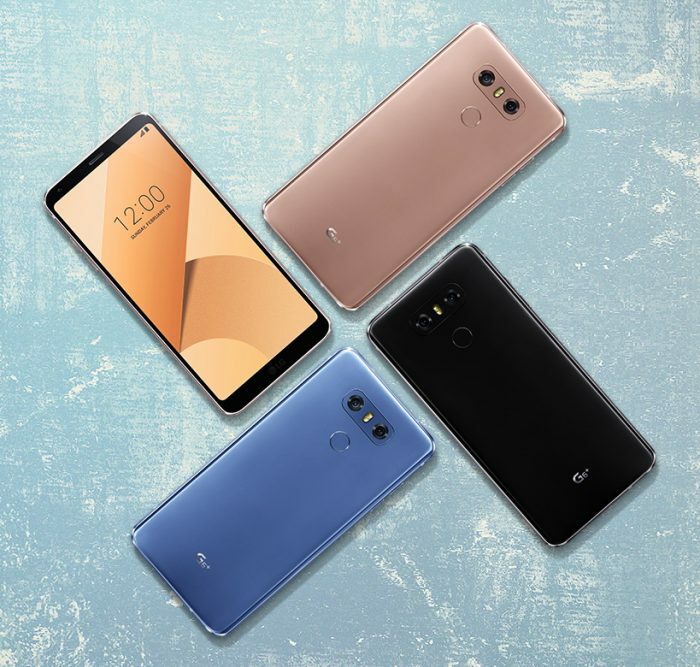 It’ll be called the LG G6+ and will be available in “Optical Astro Black, Optical Marine Blue and Optical Terra Gold”. No exact details on availability as yet, but we’re hearing that further details will be announced next week. Existing LG G6 owners shouldn’t feel too left out though, because an upcoming software package will add Face Print (a face recognition security system), Low Power Consumption and a Covered Lens warning. That power trickery uses the Qualcomm Hexagon DSP architecture to sense and collect data from both sensors and wireless connections to reduce battery usage. 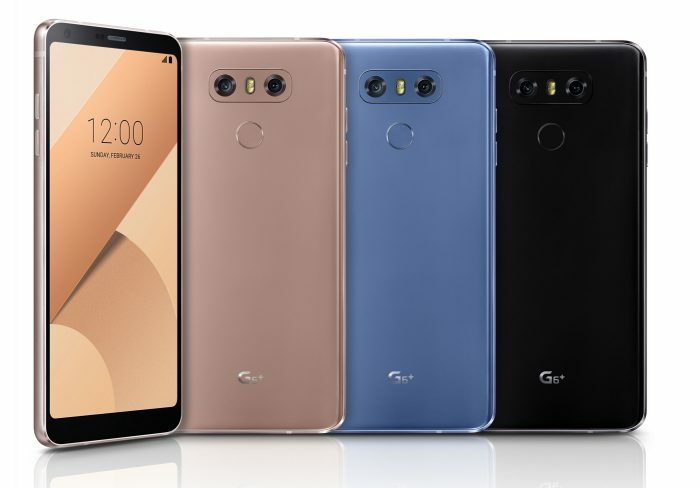 Two new colours have also been announced for the existing LG G6. You’ll soon be able to get “Optical Marine Blue and Optical Terra Gold” which have a “lenticular film to deliver a mesmeric optical effect”. We’re guessing that’ll be something like the Honor 9 we saw on Monday. The post LG G6+ Launched, plus goodies for existing G6 users is original content from Coolsmartphone. If you see it on another news website, please let us know. LG today announced the X charge, a smartphone that puts a priority on battery life. Similar to last year’s X power, the X charge has an enormous battery with a capacity of 4,500mAh. LG claims the battery can push the phone through an “entire weekend” on a single charge. The power cell is embedded within the phone, but it supports rapid charging. Other features include a 5.5-inch 720 display, 1.5 GHz octa-core processor, 2 GB of RAM, and 16 GB of storage. The main camera has a 13-megapixel sensor and the wide-angle selfie camera has a 5-megapixel sensor and LED flash. LG says the X charge also includes Bluetooth 4.2, WiFi, and LTE 4G. The phone runs Android 7 Nougat with LG’s software features, such as Gesture Shot. The LG X charge reaches Xfinity Mobile stores on June 30. Pricing wasn’t immediately shared. Xfinity Mobile is owned and operated by Comcast and runs on Verizon’s network. President Donald Trump has nominated Brendan Carr to fill the fifth and final Commissioner role at the FCC. Brendan Carr, a Republican, joins Commissioner Michael O’Reilly and Chairman Ajit Pai, giving Republicans a 3-2 majority over Democrat Commissioners Mignon Clyburn and Jessica Rosenworcel. The Commission had a Democrat majority under President Obama and a Republican majority under President Bush. “I congratulate Brendan Carr on the President’s announcement that he will be nominated to serve as an FCC Commissioner,” said Chairman Pai in a statement. “Brendan’s expertise on wireless policy and public safety will be a tremendous asset to the Commission. I look forward to working with him in his new role and wish him all the best during the confirmation process.” Trump reinstated Rosenworcel to her seat on the Commission earlier this month. U.S. Demands More Security on International Flights to U.S.
Kelly said the changes will be “seen and unseen” and will be phased in over the coming weeks and months. He said airlines that don’t comply or are slow to enforce the new standards could be forced to bar large electronics in both carry-on and checked luggage. They could also lose permission to fly into the U.S. He said he’s confident that airlines will cooperate. Verizon Wireless began selling the Motorola Moto Z2 Play handset today. The Moto Z2 Play, announced earlier this month, has a 5.5-inch full HD display and supports Moto Mods. The Moto Z2 Play is powered by an octa-core Qualcomm Snapdragon 626 processor with an Adreno 506 GPU, 3 GB of RAM, and 32 GB of storage. The 12-megapixel camera uses phase-detect and laser-assisted autofocus and has an f/1.7 lens. The front camera has a wide-angle 5-megapixel sensor with front-facing flash and f/2.2 lens. The phone relies on USB-C but still packs a 3.5mm headphone jack. The phone has a 3,000mAh battery and Motorola’s rapid TurboPower charger. It runs Android 7.1.1 Nougat with Moto Display and Moto Voice. Verizon Wireless is charging $408 for the Moto Z2 Play, or $17 per month on a payment plan. It comes in gray or gold. Moto Mods, such as the battery pack, projector, and speakers, cost extra. Motorola will sell an unlocked version of the phone with more color and storage options later this summer. For now, the Moto Z2 Play is only available from Verizon. Instagram today introduced two tools it hopes will help reduce toxic and spammy comments on users’ posts. First, Instagram is adding a filter to block offensive comments that might be made on posts and videos. The filter is able to see a series of comments deemed appropriate or offensive and block them automatically. Instagram says other comments will appear as normal, and users will still be able to report or delete offensive comments, as well as turn off commenting altogether. The offensive comment filter is available in English first and will expand to more languages over time. Second, Instagram is adding a legit spam filter for comments. The spam filter looks for obvious spam and will prevent it from appearing in posts. The spam filter can handle bad comments in English, Spanish, Portuguese, Arabic, French, German, Russian, Japanese, and Chinese. Instagram says both these tools rely on a combination of machine learning and input from its team. Instagram expects the filters to improve over time as it adds languages and tweaks the algorithms involved. Yes, we did it. Thanks to everyone who supported us ! We made it all the way from Lichfield to Edinburgh in just 3 days. Amazingly I didn’t use a portable charger once during the entire trip and the HTC U11 I have on test traveled the entire journey in my back pocket, complete with gels and snacks …. not a scratch on it. What I can say about the experience is that yes, it was tough. Being in Edinburgh though, powered purely by my legs, was a great feeling. This was all for Edwards Trust, a FANTASTIC charity helping those going through the absolute worst of times. Do read about them if you have time. 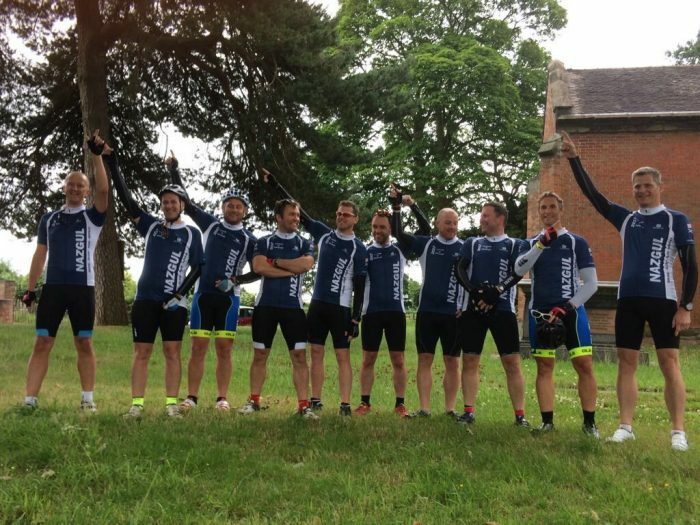 If you’ve not yet donated then click my Just Giving page and the cash joins our group pot, all ready for Edwards Trust. Here’s the journey, starting last Friday and ending on Sunday after more than 24,000 feet of climbing. The post A quick update on that bike ride is original content from Coolsmartphone. If you see it on another news website, please let us know.